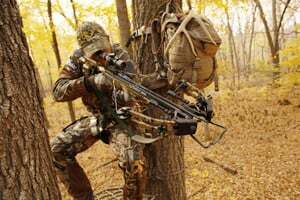 AUGUSTA, Maine — The three largest hunting groups in Maine all oppose a proposal to allow the use of crossbows during the archery season for deer in the state. Deer hunting is a way of life in Maine, where hundreds of hunters seek white-tailed deer every fall. But the hunting groups said during a recent hearing that they fear adding crossbows to the hunt would reduce deer-hunting opportunities for other sportsmen in the state. The Portland Press Herald reports the Sportsman’s Alliance of Maine, the Maine Professional Guides Association and the Maine Bowhunters Association all oppose the crossbow bill. However, a few hunters at the same legislative hearing spoke out in favor of adding the new hunting method to the season. The bill’s sponsor says the change would encourage more people to hunt.